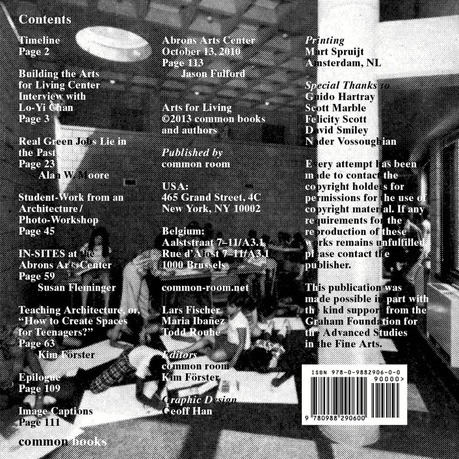 Arts for Living, front cover, common books, 2013. Courtesy of the author. 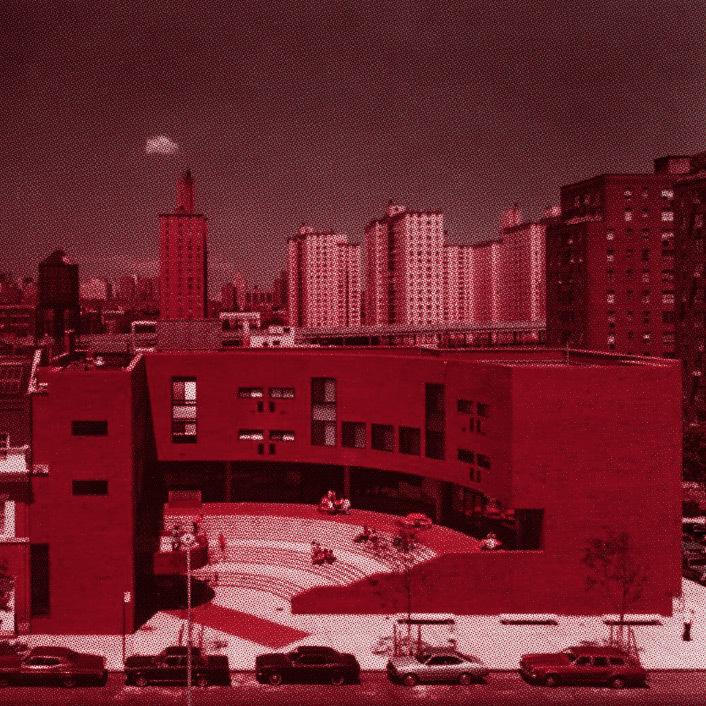 The publication Arts for Living takes a close look at the Abrons Arts Center, a community-art facility on the Lower East Side of New York, as a case study for architecture designed to address issues of public space and community life. 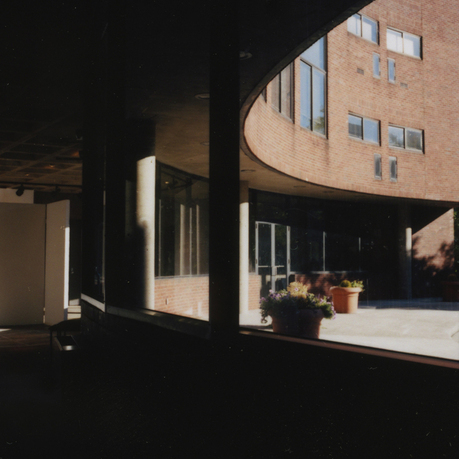 The Center was built during the 1970's fiscal crisis and designed by Prentice, Chan and Ohlhausen as a cultural institution with new educational facilities intended to enable, foster, and serve the everyday activities of the local low-income population. 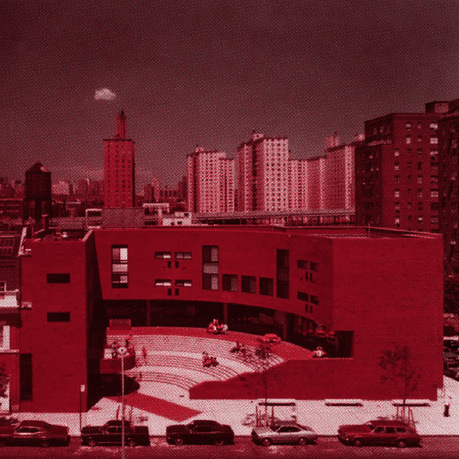 The notions of public architecture and architecture education will be framed through three topics: the architecture and urban space of the Abrons Arts Center itself; the programming and activities at the Abrons Arts Center within the context of architectural education; and a larger survey of the environment of the Lower East Side, in terms of its cultural, social, and political context. Lars Fischer was born in Duisburg, Germany in 1971. He is an architect, a founding member of common room and operates an individual design practice. 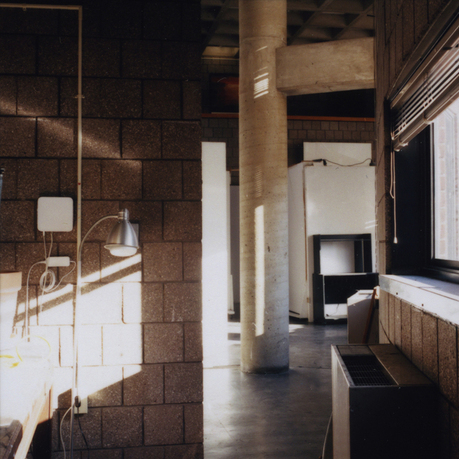 Fischer worked in the Berlin office of Daniel Libeskind in 1998-99. In 2000 he moved to New York where he worked in the offices of Marble Fairbanks and Leslie Gill before beginning the common room project in 2006. Fischer has participated collaboratively in different workshops including the Camp for Oppositional Architecture and the Plausible Artworlds Weekend. Fischer moved to Brussels, Belgium in 2011 to set up common room in Europe. He has taught in the Architecture Departments of KU Leuven and Ghent University, Belgium. Previously, he was first year coordinator at the New York Institute of Technology. Fischer studied mechanical engineering at Case Western Reserve University and received his master's in architecture from the Illinois Institute of Technology. Kim Förster (born 1973 in Lemgo, Germany) is writer, researcher and teacher, holding a PhD in architecture from the ETH Zurich, Switzerland. In his doctoral thesis he focused on a social and cultural history of the New York Institute for Architecture and Urban Studies (1967-85). Förster studied English Language and Literature and American Studies, Geography, and Pedagogy at Westfälische-Wilhelms-University in Münster, Humboldt-University in Berlin, and University of Toronto, attended teacher training in Berlin and holds a German state exam. From 2006 to 2009 he worked as an assistant at the Institute for the History and Theory of Architecture at the ETH Zurich, where he is presently holding a postdoctoral research position to conceive a new academic journal. Förster was visiting researcher at the CCA in Montral and at Columbia University and has published in various magazines and other contexts. From 2002 to 2007, he was on the editorial team of the Berlin-based political architectural journal An Architektur. Currently, Förster is living, researching, and writing in Zurich. Maria Ibañez de Sendadiano was born in Pasaje, Ecuador, in 1968. She is an architect, a founding member of common room, and a principal partner with Todd Rouhe in IdSR Architecture. She worked in the New York office of Smith-Miller and Hawkinson Architects from 1994-2000. Prior to beginning the common room project, she worked with Bryce Sanders Architecture Design and Tsao and McKown Architects. She studied architecture at the University of Florida, Gainesville, and received her MArch from Princeton University. Todd Rouhe is an architect; a founding member of common room; and a principal partner, with Maria Ibanez de Sendadiano, in IdSR Architecture. Rouhe worked in the Berlin office of Daniel Libeskind in 1996-97. He also worked in the New York offices of Marble Fairbanks and Leslie Gill before beginning the common room project in 2006. He has been a studio instructor and lecturer in the Columbia University/ Barnard College Undergraduate Architecture Program since 2001. He is an assistant adjunct professor of architecture at the New Jersey School of Architecture in Newark and has lectured and taught design studios at the New York Institute for Technology. He studied architecture at the Southern California Institute for Architecture and received his MArch in advanced architectural design from Columbia University.